Lorenz Becher lives and works in Berne, Switzerland as artist, English teacher, and househusband. Wes Chapman teaches in the Department of English at Illinois Wesleyan University. He has published a study of gender anxiety in Thomas Pynchon’s Gravity’s Rainbow and has a hypertext fiction and a hypertext poem forthcoming from Eastgate Systems. David L. Clark, Associate Professor of English at McMaster University, has co-edited and contributed to New Romanticism: Theory and Critical Practice (U of Toronto P, 1995) and Intersections: Nineteenth-Century Philosophy and Contemporary Theory (SUNY P, 1995), and has recently published essays in several volumes, including Animal Acts: Configuring the Human in Western History (Routledge 1997). Christopher Heppner is author of Reading Blake’s Designs (Cambridge UP, 1995), has recently retired from McGill University, and is now thinking about a variety of things. James McKusick is Associate Professor of English at the University of Maryland. He is the author of Coleridge’s Philosophy of Language (1986). He is currently completing a book on the romantic origins of American environmentalism. John B. Pierce is an Associate Professor at Queens University. 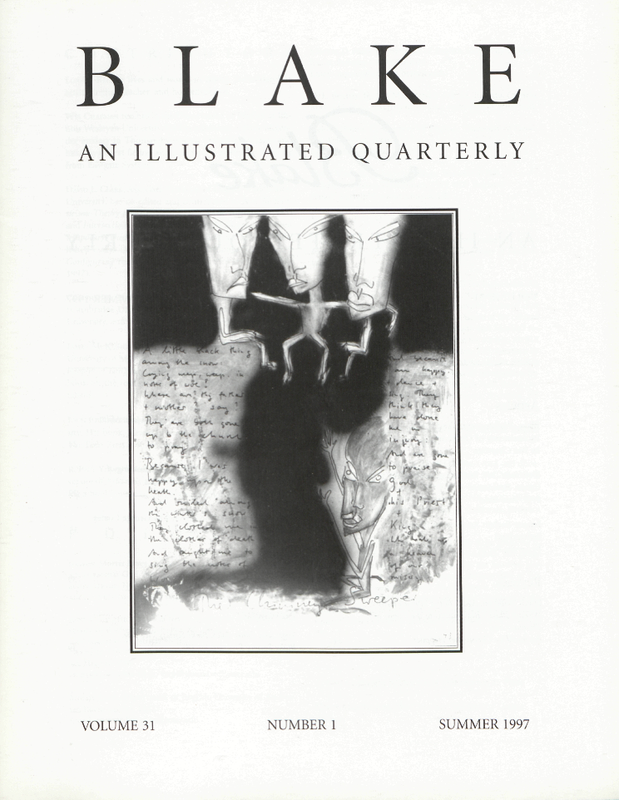 His book, Flexible Design: Blake’s Writing of Vala or, The Four Zoas is forthcoming from McGill-Queens Press. R. Paul Yoder is Associate Professor of English at the University of Arkansas at Little Rock. He is currently completing a book on the narrative structure of Blake’s Jerusalem. Cover illustration: The Chimney Sweeper by Lorenz Becher.